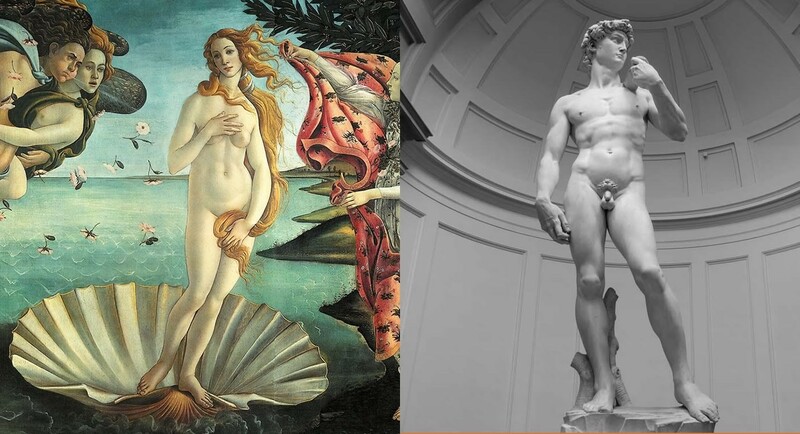 Combo package Uffizi Gallery and Accademia Gallery: visit both museums on the same date and save 10%! Choose from the calendar your preferred time for the Uffizi Gallery, 9:00, 11:00, 15:00 or 16:45; we will confirm the closest available time on the same date, booking also the entrance to the Accademia Gallery, in the opposite half of the same day (according to availability). Now you can do online booking of Uffizi and Accademia Gallery Tickets without queuing up! 100% guarantee by WAF experience. We suggest to book in advance your Uffizi and Accademia Gallery Tickets: this means you don't have to wait in long queues at the entrance. visit both museums on the same date and save 10%! Choose from the calendar your preferred time for the Uffizi Gallery, 9:00, 11:00, 15:00 or 16:45; we will confirm the closest available time on the same date, booking also the entrance to the Accademia Gallery, in the opposite half of the same day (according to availability).